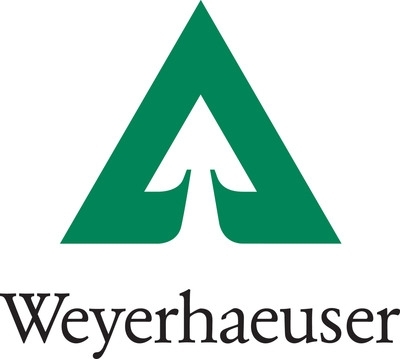 July 30, 2018 - Weyerhaeuser Company reported second quarter net earnings of $317 million, or 42 cents per diluted share, on net sales of $2.1 billion. This compares with earnings of $24 million, or 3 cents per diluted share, on net sales of $1.8 billion for the same period last year. 2Q 2018 Performance — In the south, log sales volumes were comparable with the first quarter and average realizations declined slightly due to a greater proportion of pulpwood sales. Unit logging costs increased seasonally due to additional thinning activity. In the west, slightly higher average log sales realizations were more than offset by seasonally higher forestry, road and unit logging costs. Fuel costs increased in both regions. 3Q 2018 Outlook — Weyerhaeuser expects third quarter earnings and adjusted EBITDA will be lower than the second quarter, but slightly higher than the third quarter of 2017. The company anticipates seasonally higher road and forestry costs and higher fuel and unit logging costs. In the west, average sales realizations are expected to be slightly lower than the second quarter and fee harvest volumes will be comparable. In the south, the company anticipates higher fee harvest volumes and comparable average log sales realizations. 2Q 2018 Performance — Real Estate sales increased slightly compared with the first quarter and Energy and Natural Resources royalties were modestly higher. Adjusted EBITDA increased, but earnings were slightly lower due to a higher average land basis on the mix of properties sold. 3Q 2018 Outlook — Weyerhaeuser anticipates third quarter earnings and Adjusted EBITDA will be higher than the second quarter. We continue to expect full year 2018 Adjusted EBITDA for the segment will be approximately $250 million. 2Q 2018 Performance — Average sales realizations for lumber and oriented strand board improved significantly compared with the first quarter, and engineered wood products realizations increased modestly. Sales volumes rose seasonally for all product lines. These factors were partially offset by higher log, raw material and transportation costs. 3Q 2018 Outlook — Weyerhaeuser expects earnings before special items and adjusted EBITDA will decrease compared with the second quarter. The company anticipates moderately lower average sales realizations for lumber and oriented strand board. As previously disclosed, sales volumes for oriented strand board will be lower due to an extended outage at our Grayling, Mich., mill for a scheduled press replacement. 2Q 2018 Performance — Second quarter results include a small non-cash benefit from elimination of intersegment profit in inventory and LIFO due to reduced log and lumber inventories. This compares with a charge in the first quarter. Non-cash non-operating pension and post-retirement expense also decreased due to finalization of measurements of year-end pension plan assets and liabilities. Our Reliance on the U.S.